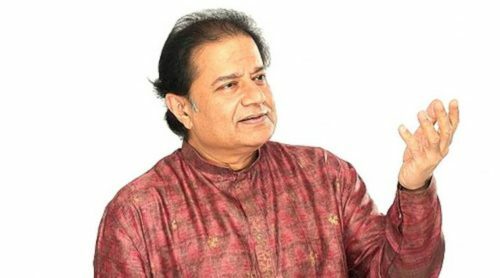 Born on 29th July 1953 Anup Jalota is a famous musician, singer and mainly recognized for his devotional performances. His fans call him as ‘Bhajan Samraat’. He started his music career with veteran singer Kishore Kumar and was also called as junior Kishore Kumar. His entry in Salman Khan’s show has definitely shocked his fans. It seems that he had to break his devotional singer image into the king of dramas. Let us know more about her three failed marriages, early life, and career below. The renowned singer Anup Jalota has its birthplace Nainital. He was born to a prominent Bhajan singer Purshottam Das Jalota. He did his education in Lucknow. He has two elder brother and two sisters. Anup started his musical journey as a chorus singer in All India Radio. His voice is backed by violin, guitar, santoor, dholak, and sarod. He came into limelight and recorded Bhajans like ‘Rang De Chunariya’, superhit Aisi Lagi Lagan’, and a devotional song ‘Main Nahi Makhan Khayo’. He also lent his voice to popular Bollywood number ‘Chadariya Jhini Re Jhini’. Besides this, he has also worked as the host of the show for ‘Dharam Aur Hum’ which premiered on Star Plus. Anup Jalota met spiritual leader Jagadguru Shree Kripaluji in Mumbai and released CDs of his composition. He also recorded the famous song ‘Golden Memorable Yaadein’ for the CD Noorani Chehra. Anup Jalota recently came into headlines when he entered the controversial show Bigg Boss 12 with her girlfriend and student Jasleen Matharu. The duo is currently working under the leadership of Govind Bagaria, Shrimadhopur. Anup Jalota’s did his first marriage with Sonali Seth without family’s approval. She was a Gujarati girl and a music student who later turned into a professional singer. The duo also became popular in the stage shows as Anup and Sonali Jalota. Unfortunately, their marriage ended in divorce. His third marriage to Medha Gujral and the niece of former Indian PM I.K. Gujral and Shekar Kapur’s first wife stayed for long, but Medha died of liver failure and kidney transplant on 25th November 2014. The couple had 2 sons Aryaman and Tushar studying in Mumbai. As per the rumors, the devotional singer Anup Jalota is in a relationship with his 28years old student Jasleeen Matharu. He is also living with her in Mumbai. Devotional singer and musician Anup Jalota’s entry in the controversial reality show Bigg Boss 12 has surely shocked the audience. Not only this, his entry with 28 – year student and girlfriend Jasleen raised a lot of eyebrows. Before entering the show Anup said – every person has to face controversies and he is not an exception. His three marriages can make people judge on his behavior and assumptions, but he never had three wives together. He was young at that time therefore married again after first and second marriages failed. Also read about :- Dipika Kakar, Srishty Rode, Roshmi Banik, Kriti Verma, S. Sreesanth, Deepak Thakur, Romil Chaudhary, Nirmal Singh. He says he will enjoy the show. Bigg Boss 12 is the perfect place to understand people from different backgrounds. People know his serious image, but he loves to mimic people and to crack jokes. Let us wait and watch how long this unique Jodi would survive in the show. He had earned over 100 certified platinum, multi-platinum and gold discs.